I bought this meteorograph relatively inexpensively because it had no drum. 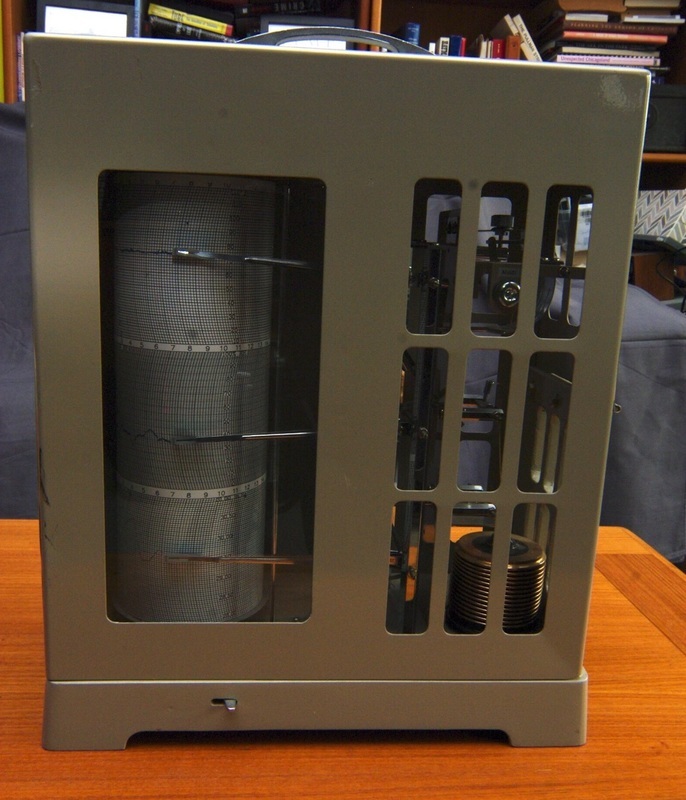 I installed a 31 day quartz clock drum that I salvaged from an inexpensive hygrothermograph. I use Novalynx 50108 31 day charts. Works well. The manual for the 5010 Meteorograph may be downloaded for free on the Novalynx website. 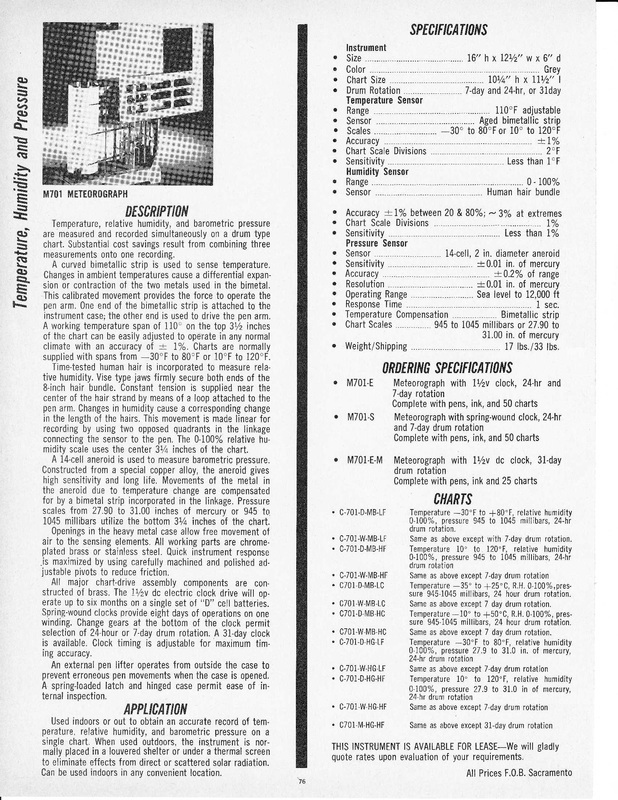 On the left is a catalog page from the 1974 Weather Measure catalog for a M701 meteorograph, which is essentially the same as the Weathertronics 5011. Go to Weathertronics catalog page.